Get Noticed at DLC 2018! Our 6 District Leadership Conferences are right around the corner, and in order to make an impact on social media we need your help! From hashtags to takeovers, there are plenty of opportunities for you and your chapter to become ADPi famous! Want an opportunity to put your chapter on the map and show off that ADPi spirit at DLC? Apply to take over the ADPi Snapchat! Email Liz Sobansky with the district DLC you are attending, your position, and tell her a little bit about yourself and your chapter. You’ll be in charge of showing our sisterhood what DLC is all about from behind the scenes to up front and center at your sessions. Applications are due January 17! Do you like to write? Are you good at story-telling? 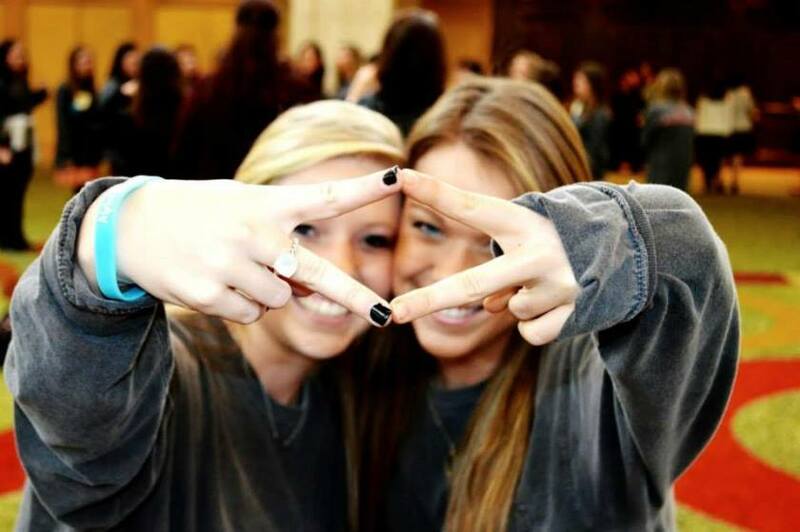 Apply to write about your experience at DLC for the Alpha Delta Pi Blog! Email Hannah Peterson with the district DLC you are attending, your position, and tell her a little bit about yourself and your chapter. You’ll have the opportunity to show our sisters what it’s like to be at DLC AND use your favorite gifs – a win-win! Applications are due January 17! Get Featured on Our Pages – Master That Aesthetic! We’ll be sharing your pictures throughout DLC season, so be sure to tag Alpha Delta Pi in your best ones to be featured! That means well lit, high quality, fun photos (break out that portrait mode). Use the hashtag #LeadingtheWay (this year’s theme) along with the hashtag that corresponds with the district you’re attending below!